The first rays of sunshine are bringing people young and old into the open air. The days are getting brighter, longer and warmer. As spring begins its return, people are drawn outside to stroll the streets and soak up the sun. And so it’s appropriate that the city of Munich is once again offering many opportunities this spring so that there will be no chance of being bored in your free time. The first rays of sunshine are bringing people young and old into the open air. The days are getting brighter, longer and warmer. As spring begins its return, people are drawn outside to stroll the streets and soak up the sun. And so it’s appropriate that the city of Munich is once again offering many opportunities this spring so that there will be no chance of being bored in your free time. Whether festivals, the arts, culture, sports or music events, everybody will have something special to experience this spring. Located in the centre of the old town, the Platzl Hotel München offers the ideal starting point for your day or evening out. We’ve put together a list of the activities and events you don’t want to miss this spring. If you have any other interesting tips or highlights, we’ll be glad to hear them in the blog comments! The Italian pop star is starting his big tour of Germany in Munich. The passionate Italian who has sold over 50 million records is finally returning after three years with his “NOI World Tour 2013″ and is presenting his new masterpiece “NOI”. Finally, Chris de Burgh and his band are returning to their homeland. The live show will feature the spectacular cover versions of many classics from the two successful CDs “Footsteps 1 & 2″. Hits like “Let it Be” and “The long and winding road” by the Beatles, as interpreted by Chris de Burgh and his band will leave nothing to be desired and create a breath-taking atmosphere. In addition to the many current covers, the audience will also be treated to many classic hits by this unique artist who has sold over 45 million records worldwide. Even after more than 40 years, Joe Cocker is still one of the world’s most successful vocal artists. After the success of his album “Hard Knocks”, released two years ago, Joe Cocker’s back on a world tour and is making a stop at Munich’s Olympiahalle on 12 April to present his incomparable follow-up album “Fire it up”. This album combines soul songs in the best Joe Cocker tradition paired with great powerful ballads and lively hits to make what is an all-round excellent work. Of course, die-hard Joe Cocker fans won’t have to go without classics such as “Up where we belong” and “Unchain my heart”. Another great, unique voice says goodbye to the music business – Meat Loaf, is on his “Last at Bat Farewell” tour. That will probably be your last chance to experience the unmistakable voice of Meat Loaf first hand where he’ll play his classic hits such as “Bat Out of Hell”. Meat Loaf is giving six German cities the honour of hosting his big farewell tour and presenting his many German fans a powerful parting gift. 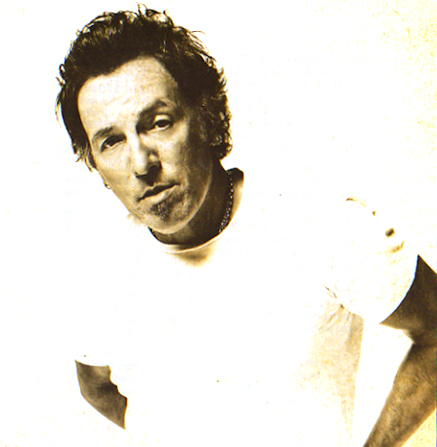 Bruce Springsteen’s live concerts have long been seen as the pinnacle of the rock concert experience. His passion and authenticity paired with the brilliance of his E Street Band make each of his shows an unforgettable event. In the roughly three-hour concert, your emotions will be moved beyond all ecstasy and you’ll see why each show ends with loud shouts of devotion from his fans. This concert from a unique artist with a band that’s playing better than ever is an absolute must for any fan of rock! 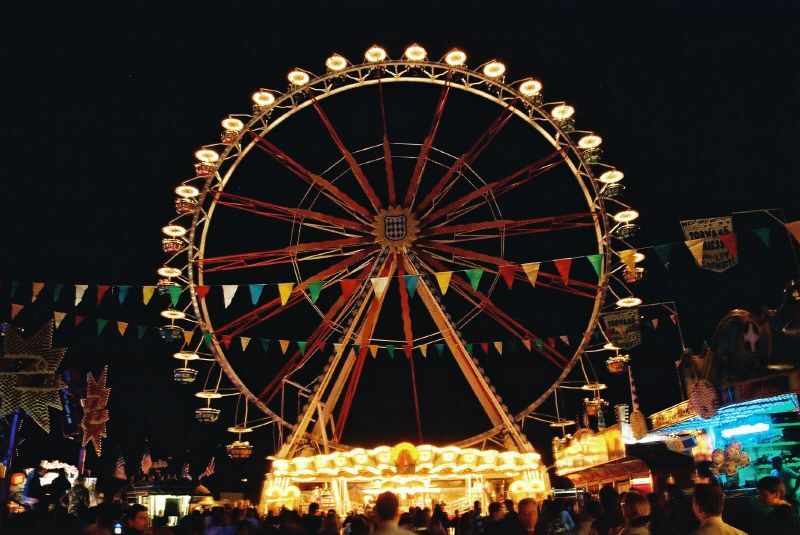 Meandering through the flea market, enjoying the panoramic view of Munich all the way to the Alps from the top of the Ferris wheel, eating cotton candy: From 27 April to 5 May 2013, once again there’ll be a lot going on at the Mariahilfplatz in Munich’s Au district. This year’s Maidult, the first Auer Dult of the year, the lively volksfest is joined with a traditional antiques market. The wares will be offered at this year’s Dult all around the Mariahilfkirche. Antiquers and lovers of car boot sales will love checking out the antiques, hand-made pottery and modern kitchen tools at the Auer Dult. Also, many traditional artisans will be demonstrating their unique crafts and skills. There will also be plenty of dining and snack options to help you make a day out of the Dult. A wide range of delicacies will be on offer as usual, from the classic Dampfnudel (steamed dumplings) and hearty bratwurst. Fun can be had on the many classic rides including bumper cars, the swinging boats, the Ferris wheel, the chain plane and “Big Bertha”. Munich’s celebrating its 855th birthday! Once again, the popular Stadtgründungsfest (City Founders’ Festival) will take place in and around the Marienplatz. Many culinary delicacies and a wide range of entertainment with music, dancing and sports will fill the city centre streets with people. This year will also include a market for traditional Bavarian costumes, a crafts village and, of course, a wide range of games to guarantee two days of fun for all ages. 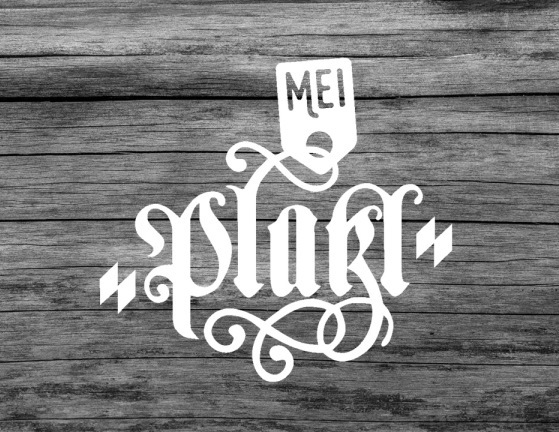 Like every year, the Marienplatz will once again be turned into a large beer garden with a special open-air program and the Odeonsplatz will host the crafts village where various artisans will demonstrate their unique skills. After three years of renovation, the world-famous Lenbachhaus will reopen on Königsplatz. Enjoy a unique exhibition of numerous galleries, including the return of its collection of early 20th century Blauer Reiter artists works which have been on tour in Japan and Vienna during the renovations. Large, wide windows provide plenty of natural light and the new barrier-free rooms allow art lovers a carefree stroll through the many galleries. The Museum of Egyptian Art has relocated and will open its doors on 10 June in the space under the School for Film and Television (HFF) at Gabelsbergerstraße 35 at Königsplatz. Covering an area of 1800 m², some 2,000 objects will be on display for lovers of ancient history. Another 400 m² have been reserved for various special exhibitions. Go on your own archaeological expedition and immerse yourself in the mysterious world of Egyptian temples and pharaohs’ tombs. Humans have loved sport for centuries. The BMW Open will be a sporting highlight in Munich this spring. At the same time as the Belgrade Open 2013 and the Estoril Open in Portugal, this year’s BMW Open will kick off Munich’s sports calendar for May. German pro tennis players are the primary guests, including Tommy Haas, who won the ATP World Tour 250 on sand for a prize of almost €400,000. With 32 athletes slugging it out for the title, the BMW Open offers audience members to watch notable qualifying games of many up-and-coming German talents. As the first of the five ATP tournaments in Germany in the beautiful grounds of the Tennis Club MTTC Iphitos (Aumeisterweg 10, 80805 München), all tennis fans will have a great time and will certainly be able to get their favourite player’s autograph.